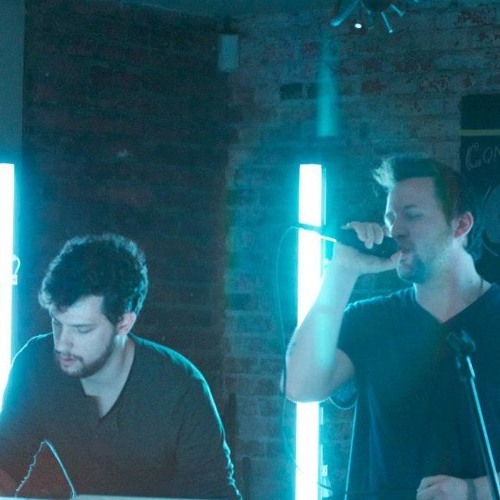 Infernal Devices met online over a shared love for electronic dance music and their desire to create a visceral, interactive live experience for their musical creations. After a long discussion one night about the joys of 80's sci-fi and dance music, Andy Miccolis and Mark Allen agreed that their project would be a unique visual take on electropop. With this in mind, they holed up in their studio in Greenpoint, Brooklyn, writing, recording and constructing a live show to bring retro-futurism to the post-disco dancefloor, combining floor-pounding beats with melodic hooks. The Phenomatron is the centerpiece of Infernal Devices' live show. It looks like what you'd imagine a time machine would look like - a large wooden box fitted with copper pipes, colored lights, and glowing wires. When the beat starts pumping, the Phenomatron springs to life, and the stage is awash with color and sound, connecting artist and audience like never before.